You get paid three ways when your music is licensed for use: The synchronization license fee, the master use license fee and through royalties of public performances. If you own the copyright and master recording, the sync and master licenses can be, and usually are, combined into one license. This is where you have an advantage as an independent artist. Music supervisors like dealing with this type of arrangement because it makes things easier and faster. However, let’s go through an explanation of each type separately so you understand the difference. The synchronization fee is what the production company pays to have the right to use the “composition.” This is not the specific recording of the song, but the song itself. 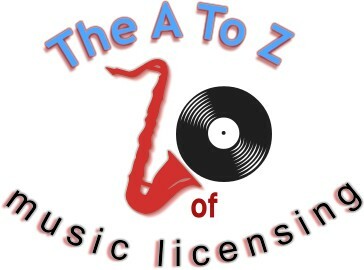 Permission needs to be granted from the songwriter and music publisher. Most likely if you are an independent artist, you are both. The master use fee is what the production company pays for the right to use the “master recording.” The master recording is your recording of the song, whether it is on CD, audio tape, DAT or an mp3 file. If you have a cover song, it is your unique recording or version of the song. (If that’s the case, the film maker will still need to get the synchronization right from the publisher of the song). Always make sure you have complete ownership of the master recording. If you have a publishing deal or have other business deals with a record label, manager, recording studio, or have co-written the song, there’s a good chance you don’t have complete control over your recordings. A music supervisor has to figure out who owns the master and deal with that person or party only. Like I said earlier, if you wrote the song and own the recording, many times the master and sync fees are combined into one fee. Again, you have an advantage in this as an independent, because it makes things easier and faster for the Music Supervisor. Synchronization fees are typically low for television, even for hit songs, because there is so much money to be made on the “back-end” in royalties. A lot of TV shows are even starting to not pay anything for this. The master fees can be quite high if a song is owned by a record label. The reason is that the owner of the master recording does not receive any royalties or back-end payments (only the publisher and copyright owners receive royalties). Therefore, the master fee is the only payment a record label will get. Also, master and synchronization fees are usually much higher for feature films because films don’t generate any royalties when played in the United States. The real money is made on the “back-end”. This is the Public Performance royalty. Royalties are awesome. You can end up getting royalty checks for years depending on the situation. This is why it is so important to be registered with a performance rights organization such as BMI, ASCAP or SESAC. It is also why it is so important to make sure the information is filled out correctly on the music cue sheets (explained later in this chapter) that the production companies fill out. Royalties are paid for public performances of your music. This includes when it is aired over television or in foreign movie theaters. You do not get royalties for your music that is played in a film in movie theaters in the good old US of A. Why not? Because of a court ruling in 1948 when the movie studios also owned most or all of the movie theaters. However, if that film is played internationally, performance royalties are generated (the performance rights organizations in each country collect the royalties and transfer them directly to BMI or ASCAP in the United States and it eventually gets to you). If the film is eventually broadcast on television, then performance royalties will be generated there also. A movie can end up being broadcast for years on cable, local television stations and websites, which means royalty checks for years to come. Another way royalties can be generated in the use of films is if the song is included on the soundtrack album (if one is released). If you can, always try to negotiate the use of your song on the sound track album if one will be released and have it put into the contract. If that soundtrack also includes songs from mega-super rock stars, you’ll be in royalty heaven. The exposure alone could be phenomenal.